Just yesterday we told you about the announcement of the new instalment in GRID game series, and already today we are ready to share the freshest GRID: Autosport news. - 10 additional premium sponsors with their own goals to be completed. 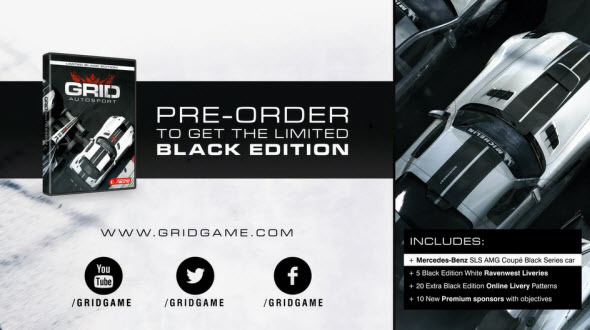 For the current moment we know that GRID: Autosport: Black Edition is available for pre-order in the UK and Ireland and its number is limited. More information about it and other GRID: Autosport news will be told as soon as they appear. And what do you think about this edition? Are you going to pre-order the game?